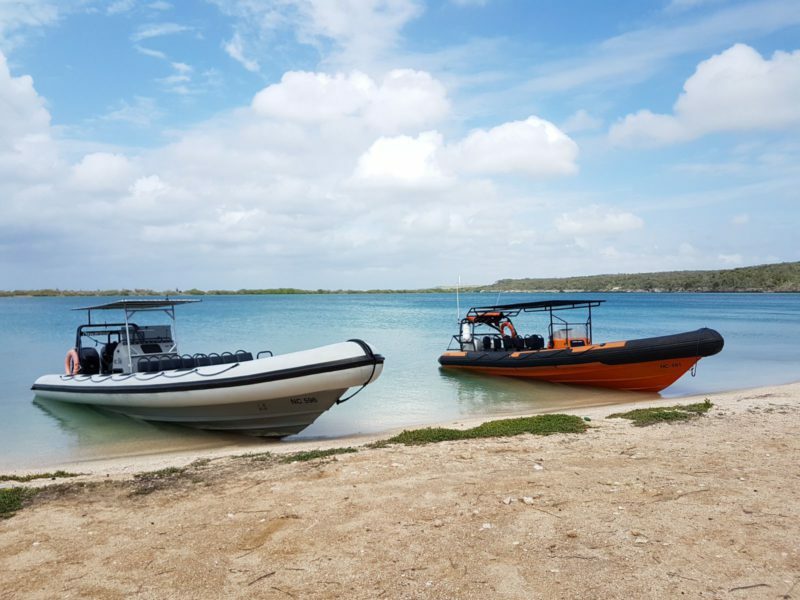 At Powerboat Caribbean we operate two RHIB-boats, 1 grey and 1 orange. What are the differences and similarities between the boats? Which one is faster? In this blog we answer all those questions! The RHIB-boats have a few things in common: high speed because of light-weight boats, safety, stability and sea-sickness proof. The tubes at the sides of the boats are filled with air and enable stability on the boat. The disadvantage is that these tubes are vulnerable when docking and when the sea conditions are terrible. ‘The Beast’ is a grey RHIB-boat with 2x 300 Mercado engines. 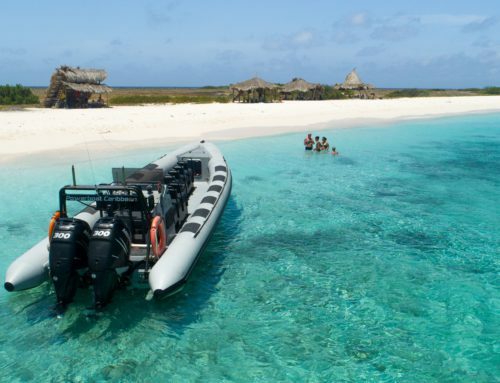 With this boat the adventure in Curaçao started. After doing high-speed tours in Holland it was shipped to Curaçao in 2015 to bring something new to the island. 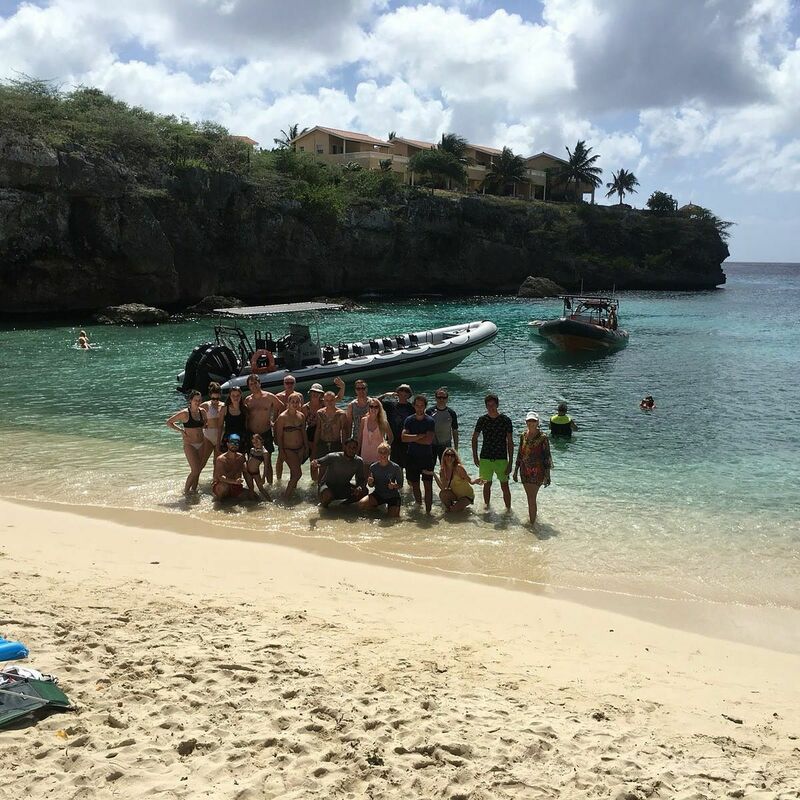 Next to the tours to Klein Curaçao this boat is used for the tours to the west coast, the snorkel/sightseeing tours, company events and private charters. The big eye catcher of this boat is the sturdy design with the big engines, enabling a top speed of 90 km/u (56 miles). The boat has a roof that reaches the back seats so when you are in the front seats you will be in the sun, a hat/cap is recommended! The boats fits maximum 10 people, enabling a small-group and private experience. The seats are located in the front of the boat, making the tour rather demanding. 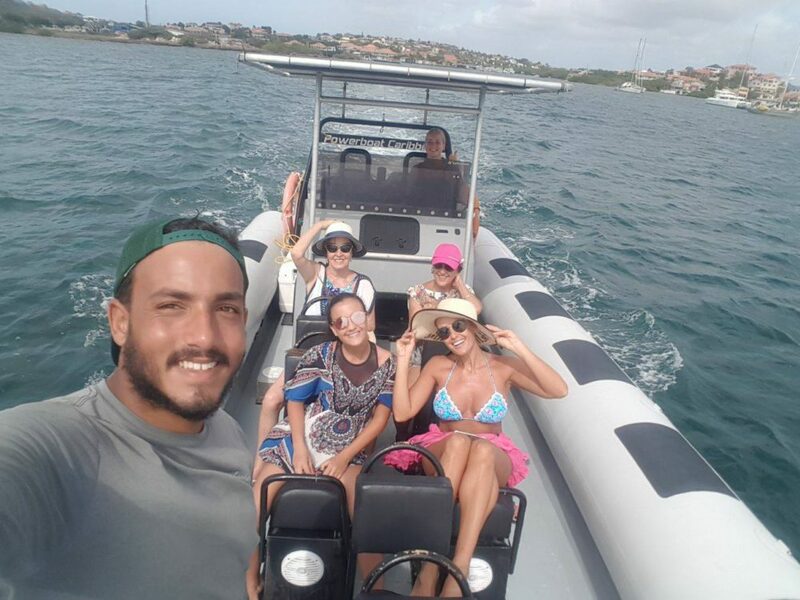 Especially on the open sea the boat might hit the waves pretty hard and therefore we discourage people with neck- back or other physical problems to book a tour with us. ‘The Flying Dutch’ is an orange RHIB-boat with 2x 150 Honda engines. 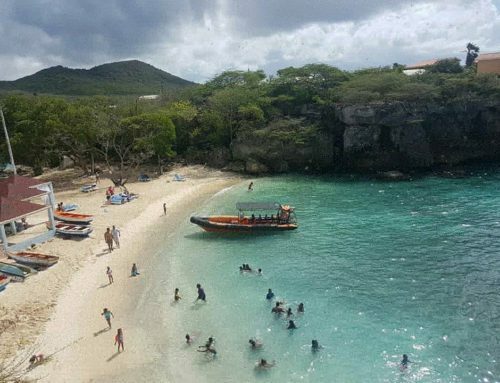 This boat used to be a rescue boat in Holland and Curaçao. Her bright orange color is an eye-catcher! In this boat you are seated in the back and a sunroof covers the whole seating area. This boat is used for the water sport activities such as wakeboarding, waterskiing, the banana boat and the tube! 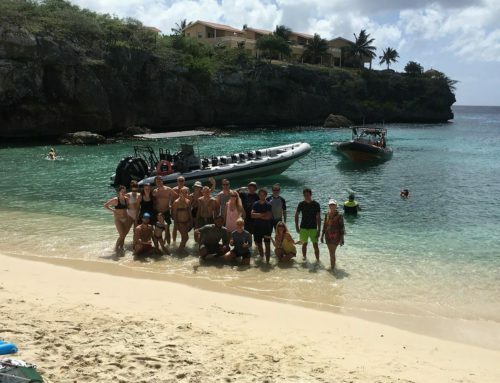 In addition, this boat runs the tours to Klein Curacao, the west coast, the snorkel-/sightseeing tours, company events and private charters. She reaches a top speed of 70 km/u (34 miles) with maximum 8 people. The tours on this boat are also demanding but not as much as on ‘The Beast’. Because you are seated in the back of the boat the waves hit the boat less. Nevertheless we discourage people with neck- back or other physical problems to book a tour with us. Which Powerboat has been your adventure? The orange, the grey or both? Tell us your comments about the boat!